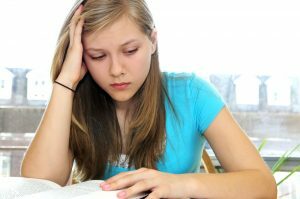 Often the term Dyslexia is associated with reading, however, it permeates through writing and spelling. 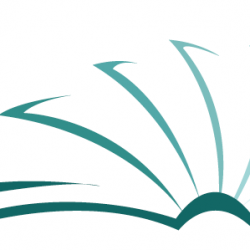 Often it is the difficulty with reading that is first identified, and it also tends to be the first that improves. As greater lengths of writing are expected, the difficulties in writing and spelling come to the fore. Many variations of “Really? !” are expressed because it appears as though just when one thing is getting better, something else comes along; those somethings were there all along. 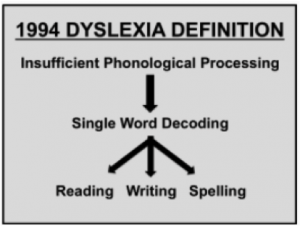 As times passes we get a better understanding of what Dyslexia is and isn’t, and as can be seen from the diagrams below the definition has become more complex. 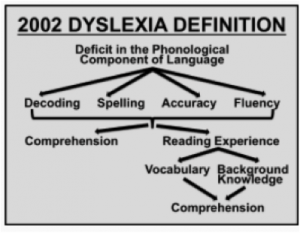 Of greatest importance in the 2002 diagram, is the impact Dyslexia – indirectly – has on comprehension. It is also important to note that the “vocabulary” refers to reading and not necessarily spoken vocabulary, which may even be superior. 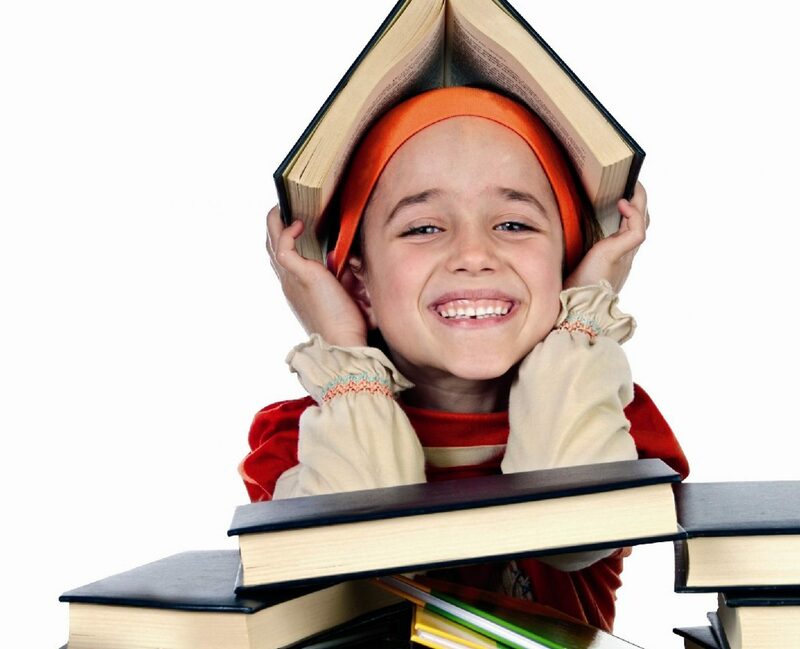 Four steps which may happen consecutively, all at once or in a circular fashion (which is most likely) is “all” that is needed to make learning easier (yes learning; the reading, writing and spelling is likely not going to become as automatic as breathing). Unfortunately, many get stuck in the remediation phase. Let these four words become your mantra if you or a loved one has Dyslexia: compensate and accommodate where you can, and never forget to promote their strengths!